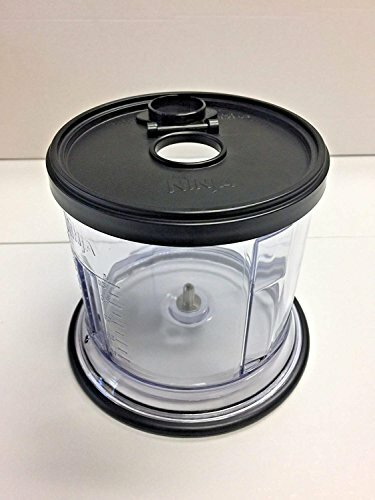 MMTH Ninja 16oz Bowl+Splash Guard Storage Lid for Express Chopper NJ100 NJ1004 -BLACK by MMTH at N Online Agency. Hurry! Limited time offer. Offer valid only while supplies last. All items are brand new, never used, sealed in factory box. All items are Genuine Ninja parts. Please check your blender's model # before purchase. The model # can be found on the bottom of blender. !!!! This package Only works with Ninja Express Chopper NJ100 NJ1004 NJ1006 !!!! If you have any questions about this product by MMTH, contact us by completing and submitting the form below. If you are looking for a specif part number, please include it with your message.